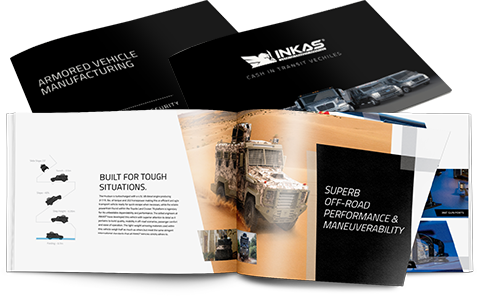 INKAS® Armored Vehicle Manufacturing has been producing bulletproof vehicles for almost 20 years. During this period, we have been constantly adapting our approach to armoring to ever-changing technology. Since 2000, our production process has been improved and optimized in a way allowing us to serve customers most efficiently. By implementing transparent policies and procedures, we are able to effectively organize and control the armoring steps keeping our turnaround time at the very top of the industry.  Our ability to streamline complex processes sets us apart of our competitors and ensures the highest quality of our products. To provide the highest level of protection, INKAS® implements a full assortment of advanced defensive technologies. We build our vehicles utilizing only the highest quality materials, including the latest composite light-weight armor solutions. The materials chosen for each vehicle are selected in accordance with the client’s desired level of protection. One of the advantages of our manufacturing process is the ability to provide a vehicle which will maintain its original appearance and performance. Our production process involves three main stages such as preparatory, armoring and finalization. At each of these stages we have implemented strict quality control procedures ensuring the highest quality of our vehicles. In order to follow our mission of saving lives and fulfill our vision of guaranteeing the peace of mind in safety and security, we are committed to further review and enhance our production process and armoring technologies striving towards continuous improvement. Following our commitment to provide clients with the vehicles, which would offer the ultimate in protection and operational capabilities, we always start production process with engineering and design. Our professional engineering team designs all materials required for armoring using 3D software. After that the design project is submitted for precision laser and cutting. At INKAS®, we only use certified materials. All our components are tested by independent laboratories as well as by our trained staff at the shooting range. Once components are ready, we completely strip the vehicle down to its bare frame, inspect OEM parts and organize them in individual storage. We start actual process of armoring with adding armor plates or light-weight composites to the roof, floor, side walls and rear area. The vehicles is equipped with the unique INKAS® overlap systems installed in all vehicle openings and gaps between the doors and the vehicle’s frame. The suspension and braking systems are also modified and reinforced to handle the added weight of the armor. We then move to the protection of the battery, fuse box and ECM. Finally, the vehicle is outfitted with high-performance run-flat tires. Once the vehicle is fully armored, it is upholstered with plastic, wood or leather in accordance with the requirements of the customer. Our technicians pay special attention to small details in order to ensure the beauty of the finished product. If it is required, at this stage we also add special options such as sirens, dual door locks, spotlights, etc. Once the vehicle is fully re-assembled, it undergoes a strict quality control process. All vehicles are inspected by a trained team responsible for ensuring that the vehicle meets all armoring standards as well as performance and craftsmanship levels.